Azerbaijan Union of Composerswill hold a series of events timed to the 650th anniversary of the great AzerbaijanipoetImadaddinNasimi. The projects entitled "Musical offerings to the genius Nasimi" are aimed atpromotion of Nasimi poetry,voiced by the music of modern Azerbaijani composers. Young composers invited to write vocal compositions on the texts ofNasimi`s ghazals. The first chapter of the book"Music in Nasimi Poetry" features mugham and old musical instruments in Nasimi poems. And the second chapter"Poetry of Nasimi in the works of Azerbaijani composers" is devoted to the analysis of the works of composers Fikret Amirov, Jahangir Jahangirov, Azer Rzayev, Frangiz Alizade and others. Known mostly by his pen name Nasimi, he created a number of works in Azerbaijani,Persian and Arabic. His Turkic Divan is considered his most important work, which contains 250300 ghazals and more than 150 rubais. 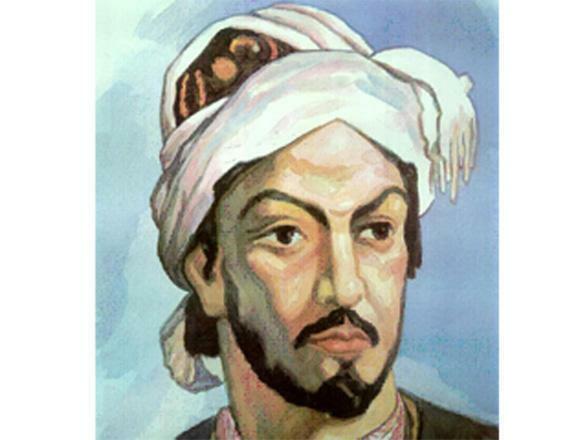 After his death, Nasimi's works continued to exercise a great influence on many Turkic language poets such as Fuzuli (14831556), Khatai (14871524). By the way, the first everNasimi Festival of Poetry, Arts, and Spirituality was held in Azerbaijan last year. The festival was held under the slogans "Beyond the Limited Self", reflecting the philosophical views of the poet, and "I am a Particle, I am the Sun" which are the poet's lines. The project wasimplemented on an international scale with the participation of world-famous singers, philosophers, scientists, who write about spirituality in modern society, as well as professionals, amateurs in this field and young people. The festival named after one of the brilliant poets and thinkers of the East, Imadaddin Nasimi took placeat the Moscow State University and the Institute of Asian and AfricanStudies.